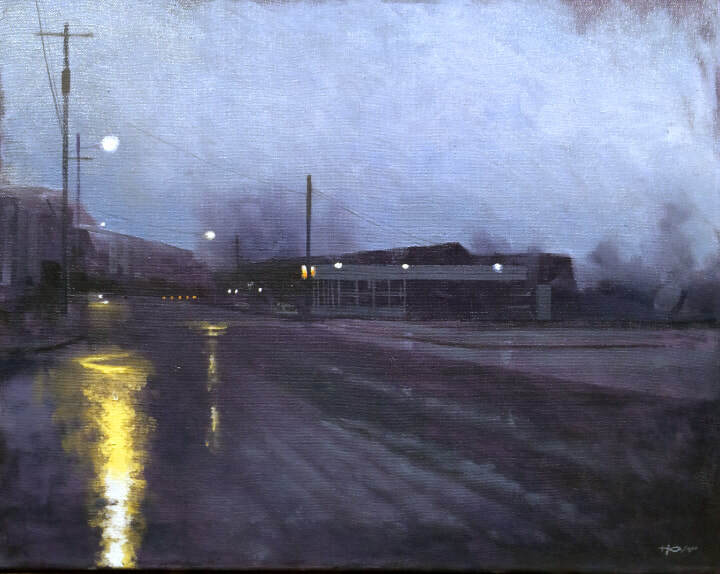 "Early Morning, Tangletown" By Patrick Howe, 16" x 20", Oil on canvas, $1,200. An early Spring morning one block from my house. I encountered this scene while walking down the street to get a cup of coffee. Tangletown is a small, unique neighborhood in the north end of Seattle. It's called Tangletown because the alignment of the streets are very confusing. Us locals love the neighborhood. After your purchase, contact me with your shipping address. ​Washington State Sales tax 9.8% will be added. Copyright © 2019, by Patrick Howe, all rights reserved.